we promise to be thorough, respectful, and discrete throughout the entire process. Trauma cleanup, commonly referred to as crime scene cleanup or bioremediation, involves cleaning, disinfecting, and deodorizing a scene following a traumatic discovery. Most common incidents that may require professional trauma scene cleaning services include homicides, suicides, and unattended deaths. It is important to hire a professional, trained, and certified cleaning team to handle these scenes due to the large amounts of blood and bodily fluid in the area. Those fluids can carry a number of harmful blood borne pathogens like HIV, hepatitis, and MRSA. Trauma cleaning is not just for after a death; professional cleaning may be needed after a serious illness or major injury where an area is contaminated with urine, feces, blood, and other bodily fluids. While it’s a sad reality, many people die alone every day for many reasons. In some cases, their body is not discovered for days or weeks. Bodies decompose at different rates depending on environmental conditions like temperature. The length of time someone goes unfound can have a large impact in the amount of damage, remediation, and cleaning needed later. At Werner Restoration, we work respectfully and carefully to thoroughly clean, deodorize, and disinfect every inch of space affected. Meth usage may be on the decline, but thousands of meth labs are still discovered in the U.S. every year. According to the Drug Enforcement Administration, there were 9,338 reported meth lab incidents and seizures in the U.S. in 2014 (the last year their data was reported). There were 729 incidents in Illinois and 143 in Iowa. When it comes to meth, residue can seep into every single porous surface in a home, and therefore be breathed and ingested by anyone exposed to affected areas. Test area to verify contaminated area. Suit up in personal protective equipment, including respirators to prevent inhaling meth’s noxious and dangerous fumes. Secure the property: While police carefully search properties for evidence, sometimes things are missed. Our teams carefully search for dangers like needles and chemicals, and remove those first. Ventilate: begin airing out the property by opening windows and bringing in special equipment to clean, scrub, and deodorize the environment. Remove contaminated items: Often with illicit drug lab cleanup, porous materials like carpet have to go. Wash, rinse, repeat: This is the key to meth lab cleanup. Every square inch of the property will be cleaned and washed with special, professional-grade products that can cut through the meth residue. This process is repeated over and over until surface tests come back safe. In every trauma and biohazard job Werner performs, we strive to maintain the utmost discretion for the sake of our customers, their families, and anyone else touched by the situation. Hoarding cleanup is the same. We also understand the mental illness behind some hoarding situations, and promise you will find our team respectful, kind, and empathetic. Our hoarding cleanup process includes carefully boxing up any items to be stored and/or cleaned and transporting them to our climate-controlled facility for safe-keeping. We also clean, disinfect, and deodorize the entire home to ensure it is a safe environment. We can also fix structural, plumbing, electrical, and other issues during the cleanup process. This process is not only amazing, but incredibly interesting! We encourage you to check out our Electronics Cleaning video where one of our staff members takes his own TV and puts it through the Contents Pack Out System, Odell Electronic Cleaning System, and Fireline Cleaning System. According to the Occupational Health & Safety Administration, 4,386 workers were killed on the job in 2015. Hundreds more are hurt. The good news is, OSHA and companies like yours are making strides every single day to make everyone safer. In fact, worker deaths are way down from 1970, when the average was 38 worker deaths per day; today, that number is 13. Worker injuries and illnesses are also way down from 10.9 incidents per 100 workers in 1972 to 3 incidents per 100 workers today. Despite our very best work to keep everyone safe on the job, accidents happen. When it does happen, Werner can be at your facility quickly to help. Just like trauma can happen in the home or workplace, automobiles are also the scene of traumatic discoveries or incidents. Werner Restoration has the ability to clean and disinfect a vehicle in a whole new way compared to an auto detailer. 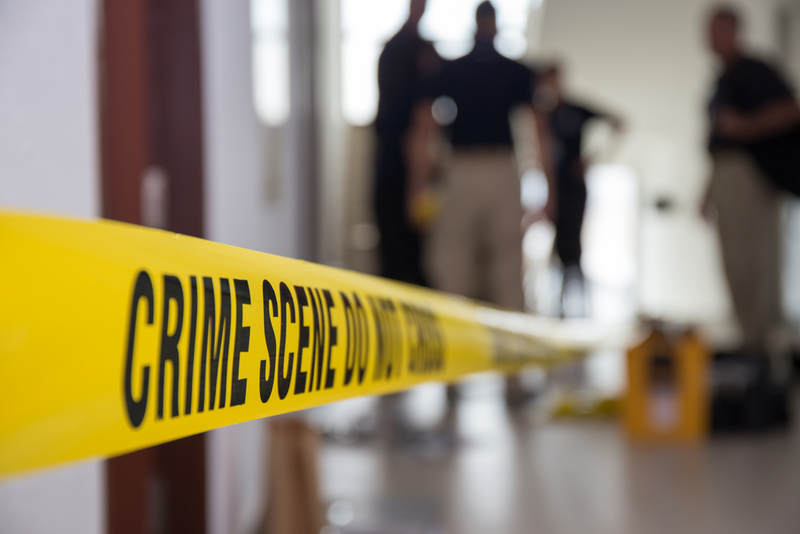 Impeccable training, experience, and a plethora of certifications really set Werner Restoration apart when it comes to trauma and crime scene cleaning. Our team is extremely respectful of people and property, and also heavily trained in safety and cleaning techniques to assure by the time the job is complete, the evidence of the trauma is gone. We will provide the very best service, not only in the Quad Cities, but industry-wide. We will be the most discrete and respectful company you can find.